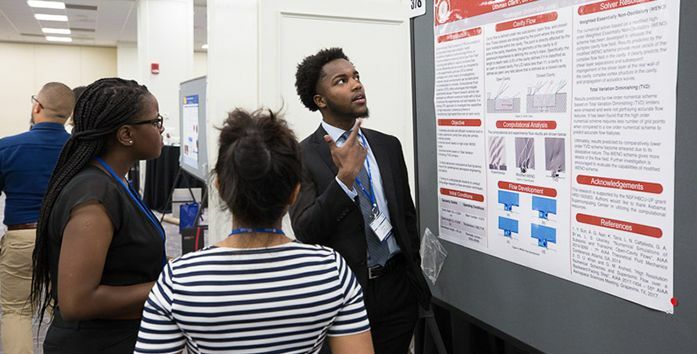 After participating in the Penn State Summer Research Opportunities Program, students from Virginia State University presented award-winning lectures at the Emerging Researchers National Conference in Science, Technology, Engineering and Mathematics held in Washington, D.C., on February 22-24, 2018. Read the complete news story from Penn State News. Read the complete article from The Californian, written by Cristian Ponce. Hurricanes that devastated areas of the Caribbean last fall impeded science research and teaching, but new networks for aiding colleagues and new avenues for research have emerged from the response efforts, according to several speakers at a recent conference co-hosted by AAAS. 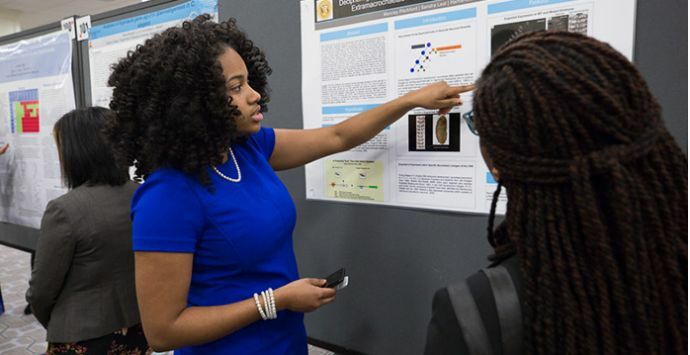 The 2018 Emerging Researchers National (ERN) Conference in Science, Technology, Engineering and Mathematics, was held in Washington, D.C., from Feb. 22-24. In a plenary talk, Juan Ramírez Lugo, assistant professor of biology at the University of Puerto Rico’s Río Piedras campus and president of the AAAS Caribbean Division, detailed the effects of Hurricane Maria on scientific research and teaching in the Caribbean. Three University of the Virgin Islands undergraduate students emerged victorious after their presentations were judged at the Annual Emerging Researchers National (ERN) Conference in STEM on February 22–24, 2018, at the Marriott Wardman Park Hotel in Washington D.C. Nineteen UVI students were among the over 800 students that attended from colleges and universities across the country. Read the complete article from The Virgin Islands Consortium. Terrell Hilliard, an Alabama State University master of science candidate in biology, and a National Institute of Health scholar, took home a first-place prize for his research at the 2018 Emerging Researchers National (ERN) Conference in Washington, D.C.
Read the complete ALABAMANEWS.net article written by Jonathan Thomas. Read the complete UAPB News article. 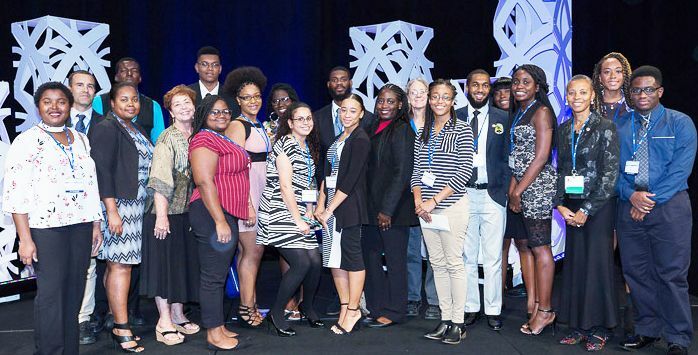 Three University of the Virgin Islands undergraduate students took first place awards at the Annual Emerging Researchers National Conference in STEM in Washington D.C. Nineteen UVI students were among the over 800 students that attended the conference from colleges and universities across the country. The three students, from UVI’s College of Science and Mathematics, were Torhera Durand, Genique Nicholas and Quianah Joyce. Read the complete Virgin Islands News Brief. Each year on the final night of the Emerging Researchers National (ERN) Conference in STEM, about 30 Ph.D.-level scientists and engineers who attended historically black colleges and universities as undergraduates line up on stage to introduce themselves and describe their current work. Seeing them, and hearing about their impressive achievements, often has a strong impact on current students, who may lack minority role models in STEM. “It’s inspiring and hopeful to hear so many say ‘I was the first black Ph.D. to graduate in (blank) from (blank),'” one attendee tweeted from the conference, held 2-4 March in Washington, D.C. Hearing the stories of African-American women who worked as “human computers” at NASA’s Langley Research Center in Hampton, Virginia, as revealed in the book Hidden Figures and the subsequent hit movie, has had a similar effect. The book’s author, Margot Lee Shetterly, was part of a special panel at the conference. Read the complete AAAS story here. Read the complete UAPB News story here. Students who have mentors and the encouragement found at the Emerging Researchers Network Conference are more likely to continue in STEM education, research finds, making it especially important for underrepresented minorities and women. Washington, D.C., is a long way from South Dakota, but two high school students from the Rosebud Sioux Tribe made that trip in February thanks to their accomplishments in the science, technology, engineering and math (STEM) fields. Mahpiya Spotted Tail, a junior at Saint Francis Indian School, and Ben Whiting Jr., a senior at White River Alternative School, were invited to participate in the 2016 Emerging Researchers National Conference in STEM, sponsored by the American Association for the Advancement of Science and the National Science Foundation. First Place Winner at the ERN Conference in Washington, DC, Delaware State University senior Andrew Blake is looking for clues to a cure for Alzheimer’s – and a common household pest is helping him do it. Graduate student, Zahra Campbell, in ASU’s Forensic Science program recently earned a first-place award during a national research conference. CEES graduate student, Melisa Stewart, received the first place award for her oral presentation, Carbon Capture with a Novel Solid Adsorbent of Polyethyleneimine Impregnated Titanate Nanotubes, at the Emerging Researchers National (ERN) Conference in Science, Technology, Engineering and Mathematics (STEM) held February 25-27, 2016, in Washington, DC. A student from last year’s REU project, Bethany Fronhofer, attended the 2016 Emerging Researchers National (ERN) Conference, where she spoke about the work that she did along with Sarah Schott in Dr. Idalis Villanueva’s lab. 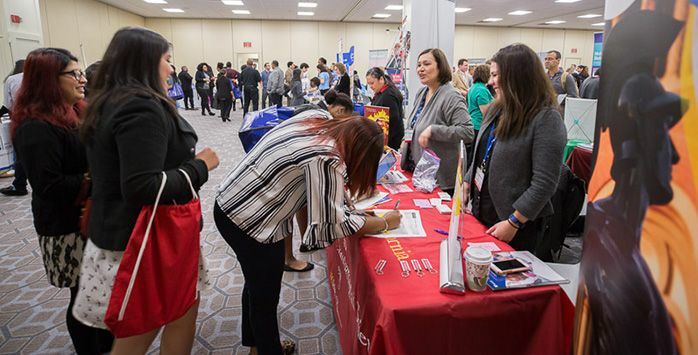 More than 1,000 people from 240 colleges and universities attended the three-day annual conference, which was hosted by AAAS and the National Science Foundation (NSF) Division of Human Resource Development within the Directorate for Education and Human Resources. 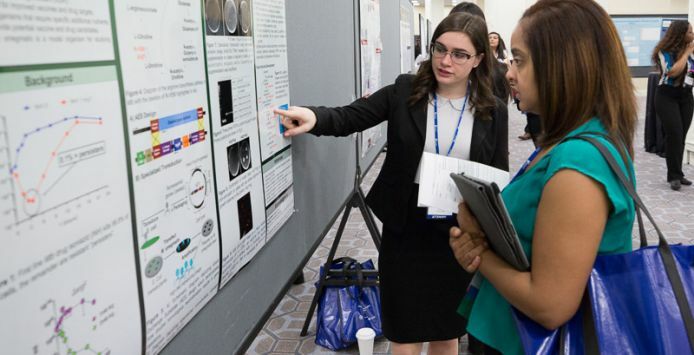 The ERN conference provides an opportunity for undergraduate and graduate students in STEM fields to enhance their science communication skills through poster and oral presentations judged by 140 scientists and engineers. Many of these judges are alumni of the David and Lucile Packard HBCU Graduate Scholars Program, the SACNAS Summer Leadership Institute, the L’Oréal For Women in Science postdoctoral fellows program, and the AAAS Science and Technology Policy Fellows Program. Seven Michigan State University SROP alumni presented their research at the 2015 Emerging Researchers National (ERN) Conference in Science, Technology, Engineering and Mathematics (STEM), February 19-21, 2015, at the Renaissance Hotel in Washington, D.C. The ERN Conference continues to encourage undergraduate students to apply for advanced degrees to conduct original research on topics relevant to our nation’s needs. Sowda Ahmed, an undergraduate researcher working in the lab of Mark Schleiss, MD, Department of Pediatrics, was recently recognized at the Emerging Researchers National (ERN) Conference in STEM for her research on the development of a stable cytomegalovirus (CMV). Ahmed, a sophomore majoring in Genetics, Cell Biology and Development, was chosen to present her research in the undergraduate biological sciences category. She was awarded second place for her poster presentation, which took place on February 20, 2015. Students from the University of Arkansas at Pine Bluff STEM Academy recently attended the Emerging Researchers National (ERN) Conference in Science, Technology, Engineering and Mathematics (STEM). Lafayette Frederick, Emeritus Professor of Biology, Tuskegee is featured in AAAS Member Spotlight. UDC student, Abdelhakim Ahmim, a junior in Electrical Engineering, has won first place in oral presentations (area of Technology and Engineering) at the Emerging Researchers National Conference, held in Washington DC from February 20-22, 2014. Syracuse Academy of Science Charter School students Merima Omerovic and Fahrija Baltic were the only high school students among more than 500 students who participated in the 2014 ERN Conference in STEM (science, technology, engineering and mathematics), sponsored by AAAS Education and Human Resources programs and the National Science Foundation (NSF). More than 900 participants attended the conference in downtown Washington DC from 19-22 February. University of Wisconsin-Platteville University News: Five Students Attend Research Conference in Washington, D.C. The University of Wisconsin-Platteville’s Office of Multicultural Student Affairs sponsored five students’ attendance and presentations at the Emerging Researchers National Conference in STEM in Washington, D.C. on February 20-22, 2014. Harris-Stowe State University student Krystal Chandler received first place honors in the undergraduate poster presentation for the subcategory Genetics at the 2014 Emerging Researchers National (ERN) Conference in Science, Technology, Engineering and Mathematics (STEM) held in Washington, D.C. February 20-22, 2014. Three University of Arkansas at Little Rock students recently returned from presenting their research at the annual Emerging Researchers Conference in Washington, D.C.; two of them earned awards in their respective categories. 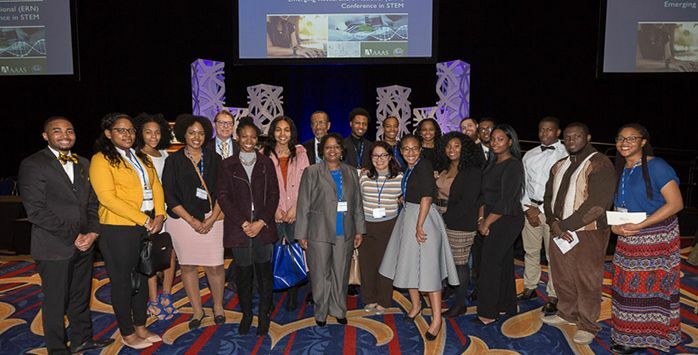 About 900 people from 174 colleges and universities, including 42 Historically Black Colleges and Universities (HBCU) participated in the conference, which was hosted by AAAS Education and Human Resources (EHR) and the National Science Foundation’s Division of Human Resource Development. Representatives from 19 companies and 31 graduate schools also attended to recruit students for graduate schools, research fellowships and job opportunities. The program included sessions on preparing for graduate programs and how to write a good abstract, as well as inspirational talks from researchers, including one about the 100 Year Starship project, a U.S. initiative to make human space travel beyond the solar system possible in the next 100 years. Congratulations to third-year RIT/NTID student Wade Kellard, an Applied Mechanical Engineering Technology student, who was selected to present at the 2013 Emerging Researchers National Conference in STEM on March 1, 2013. Two ASU students received first-place awards for research presentations at a national conference attended by hundreds of undergraduate and graduate students. Congratulations to Alexandria Bufford, Ashley Cainion, Jamel Dobbs, Johnny Glenn, Kimberly Myers, and Manelisi Victor Nhliziyo for winning the 2013 Emerging Researchers National (ERN) Conference in STEM Award. This opportunity will allow her to present her research at the annual meeting in Washington, D.C.